As a mother of all boys, I like to downplay the role of my husband in my house. Because I’m selfish 😉 I like the being the queen and letting my boys flock to me, one of the primary perks of being the only lady. Right?! But the thing is, no matter how much my boys cling to me for love, they look to their father as their role model. There’s no plainer way to say it. And the older they get, the more important it is that they have a strong role model to look up to. My husband used to travel a lot when my first son was young and, honestly, I didn’t worry about its effect on him because I knew that while he was still breastfeeding, I was the one he NEEDED. My husband went out of town last month for a week and you would have thought he had been gone six months when he returned. The boys just clung. Sure. They call to me when they need something. They cry for me in the middle of the night. But when you ask the boys who they want to be like when they get older. The say things like, “I want to be big and strong like Daddy. I want to go to work like Daddy. I want to play golf like Daddy.” I’ve never heard them say “I want to be a therapist like Mommy.” And for some strange reason, that does not offend me at all. Instead, it actually warms my heart. I guess because when I see him with them, I am beyond impressed. I’ve often joked that when he sets his mind to it, he can out “mommy” me any day! Which is super annoying while simultaneously being super impressive. As a result, I have increasingly learned just how sacred the role of FATHER is. And from my perspective, he does so much to take care of us. I would be lost without him. I am ashamed to admit how lost I would be in the practical things in life without our special man. My husband would never initiate a photoshoot of our children on his own (because they normally cause a freak out stress moment from his wifey), but he LOVES to see pictures of his babies. So I think a wonderful idea for Father’s Day is to schedule a surprise photoshoot of the kids (and you too) and put some of the pictures in frames for his desk. This is also a great way to incorporate a craft from the kids! You can have them make their own frames for Daddy. And if you’re on a budget, this can work even without a professional photoshoot. You could also just have a close friend snap some cute candid shots and print them yourself! 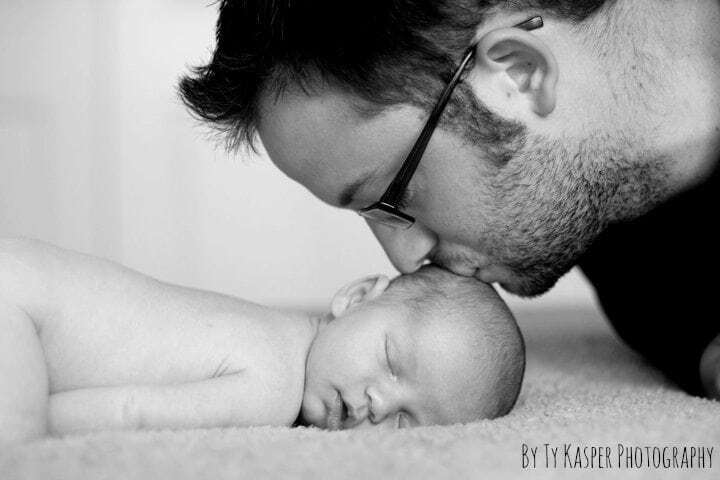 And there are great ways to do custom pictures with a Father’s Day theme. Check out some photo ideas HERE. My friends always talk about feeling like they miss being pampered. But I think we often forget that men like to be pampered too. They often just don’t admit it. And they certainly don’t schedule massages for themselves. So I think a perfect gift for any father is a surprise massage. If you have a bigger budget, you can buy multiple massages for multiple months and let him enjoy his present well after Father’s Day. Depending on where you live, you can utilize Groupon Discounts for this present! Maybe you and your husband have the same hobbies and maybe you do not. But I think Father’s Day is a great time to buy him tickets to a sporting event that he would love to go to but would never buy for himself. (And if you’re like me, something you may not want to go to in the first place.) Then, buy him an outfit you love for the date night. Something stylish that he would never take the time to buy for himself. To me, this is a win win for everyone. He gets a fun night out with his wife. And you get a hot date. *And I don’t know about you, but from my experience, husbands that dress up tend to get luckier. If you know what I mean. 😉 And we know that no present tops that! I don’t know about you, but my husband loves to golf and doesn’t get to do it nearly as much as he would like to do it. (But I tell him to hold out hope because as our boys grow, he is going to have a foursome.) And since he loves golf so much, he LOVES to have a chance to play beautiful and difficult courses…that also happen to cost an arm and a leg. So this year, I’m surprising my husband to a round of golf at one of the most expensive courses in our area. One that he would never pay for himself, but has mentioned over and over again how much he’d love to see the course. If you like this idea too, one way to take it a step further is to coordinate with the wives of your hubby’s golfing buddies and have them also buy a round at the same course for their men. That way they can not only play, but also enjoy playing together! We are new to the state of Texas (and still working on our y’all) but around here crawfish boils are huge! Is this something you’ve heard of in your area? Well if not, basically with a crawfish boil, a large group of people gets together and boil crawfish, corn, potatoes and whatever other veggies people enjoy. Then stand around and peel the crawfish. It’s a messy way to eat and takes a certain kind of table where people can stand and dispose of the crawfish remains. It’s a great way to get people together and to socialize. 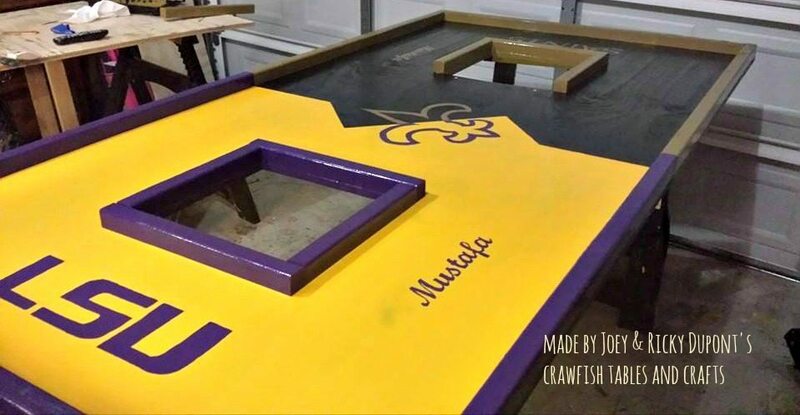 So, I think a crawfish table is a perfect gift for a father. They sell traditional ones like this or custom ones at places like this Joey and Ricky Dupont’s Crawfish Tables. Thanks for reading! I hope this gives you some great ideas for Father’s Day! May your father or the father of your children feel celebrated and savored. Hopefully often, but if not, at least this Father’s Day.